Now you can wear your healing on you at all times. These objects are imbued with the most high healing energy available. They will radiate energy and their power for your lifetime. (They may also be passed down to future generations). Unlike some other objects that when used lose power, these objects become more powerful and the energy becomes stronger the more you wear them. A bracelet imbued with energy for EMOTIONAL HEALING. It can only be used to heal the emotional body of the buyer (unlike my physical healing imbued item, which can be used to heal the buyer & anyone the buyer chooses). This bracelet provides deep emotional healing. It will enliven the heart chakra and bring balance to the emotional body. It will also bring true happiness into your life. Item may be different from the photo. 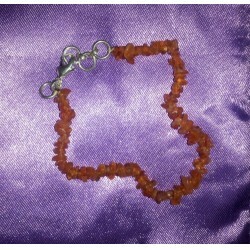 This listing is for an imbued object with energy for physical healing (your choice of object). It can be used to heal yourself and others. Physical energy will be restored, and all physical illness/sickness can be cured with this object. It can also be used to heal mental issues if necessary. This crystal pendant brings the highest possible protection. It is imbued with the energies of Indian Saint Shirdi Sai Baba, and Hindu deity Dattatreya. This amulet can protect you from Gods, angels, demons, curses... anything you want to be protected from. It will remove all curses immediately upon arrival (and, in some cases, immediately upon purchase). It will also protect you from people who want to control you. 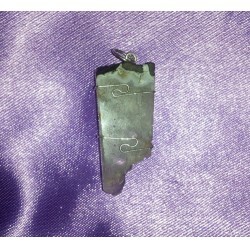 This amulet radiates a 3ft energy field around you, so it can protect you from physical harm. It reduces risks of all kinds, repelling negative, uncomfortable and undesirable vibrations & energies away from you. Item sent may be different from picture. These are all "special" magical power objects. That is they take a long time to create and to imbue with the energy that is attuned to the user. If there is a "rush" please let me know and we will see what can be done - usually there will be an additional charge required, as work must be done. Some people may be more comfortable with the energy of Jesus and if you are seeking an object, but wish for a cross, pease email me ar jesusobject@evananda.net for information about special order Cross Power Objects, imbued with the Healing of Jesus. "A wonderful and VERY powerful healing-piece! If you are looking for an item that TRULY can heal you just found it! It helped me to feel much better even though I have my illness for a very long time and I have tried everything to feel better. This item finally helped me to get better. And it only took 1,5 weeks!"